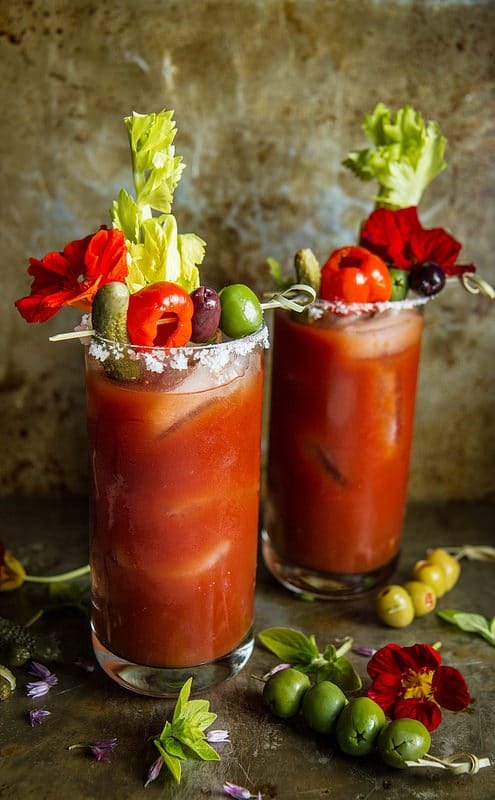 t isn’t brunch without a Bloody Mary and we have a list of the Best Bloody Mary Drinks and Recipes you can find. Bloody Marys are a traditional brunch drink but they can be so much more. Bloody Mary mix isn’t only used in the classic drink it can also be used in a variety of recipes. We’ve even got a recipe that will cure that hangover ;)! The key to a good Bloody Mary is the mix. 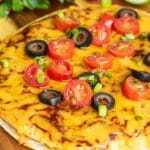 You can make your own from from scratch or use the bottled stuff, either way it’s all about the spicy, zesty taste of tomatoes and spices. 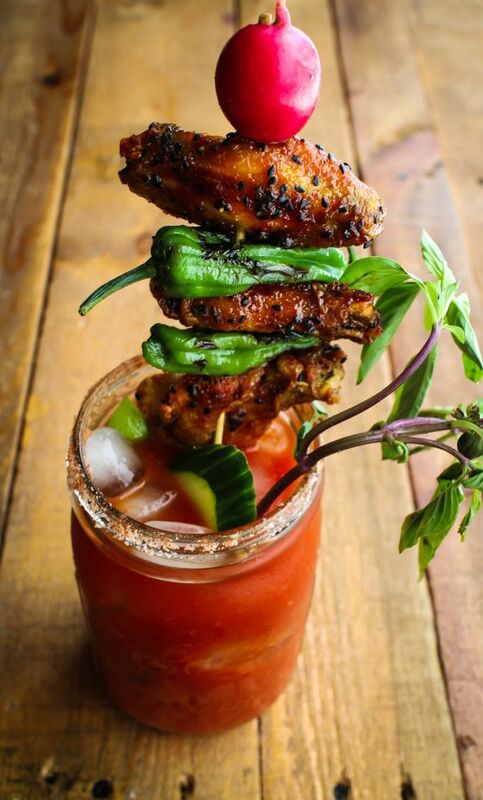 When it comes to a classic Bloody Mary the garnish is the best part. A Bloody Mary mix bar would be great brunch bar idea or you can just have a Bloody Mary on the go! 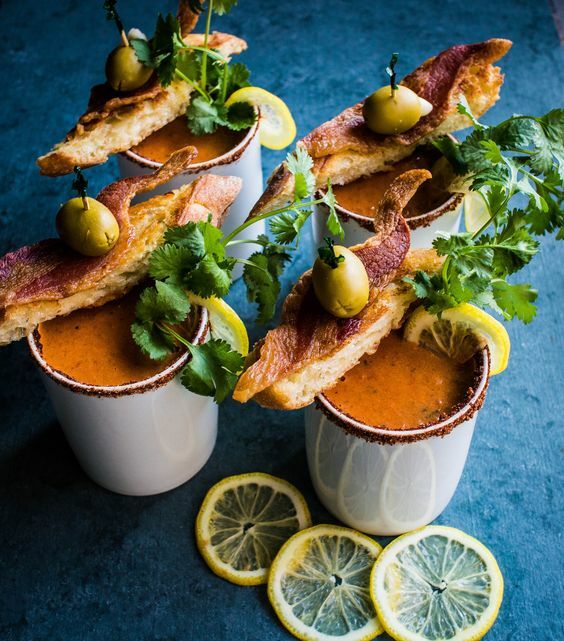 These Spicy Bloody Mary Gazpacho Shooters would be super cute for a party. 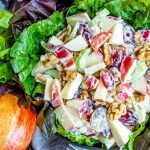 Having a food processor makes this in minutes! Since I was born and raised in Maryland, I couldn’t resist this Maryland Bloody Mary. The old bay seasoning is a must! 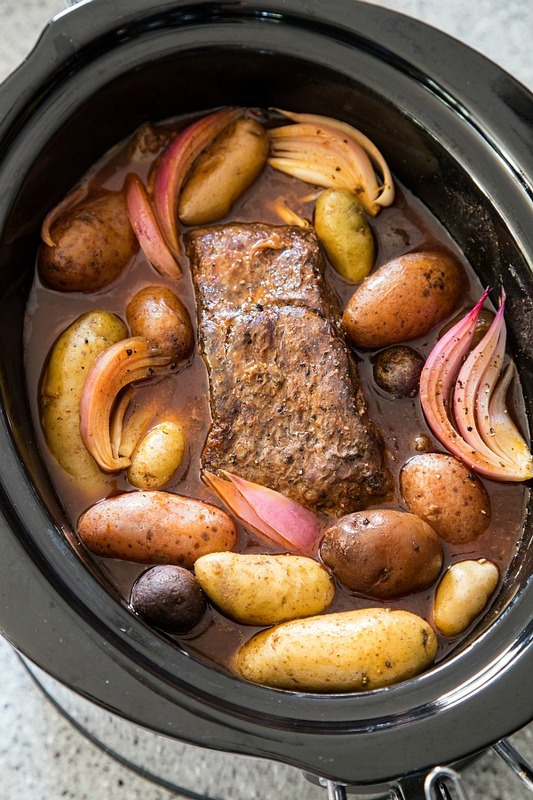 I bet this Slow Cooker Bloody Mary Mix Roast tastes amazing! 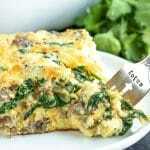 Pull out that slow cooker, you don’t want to miss this recipe. 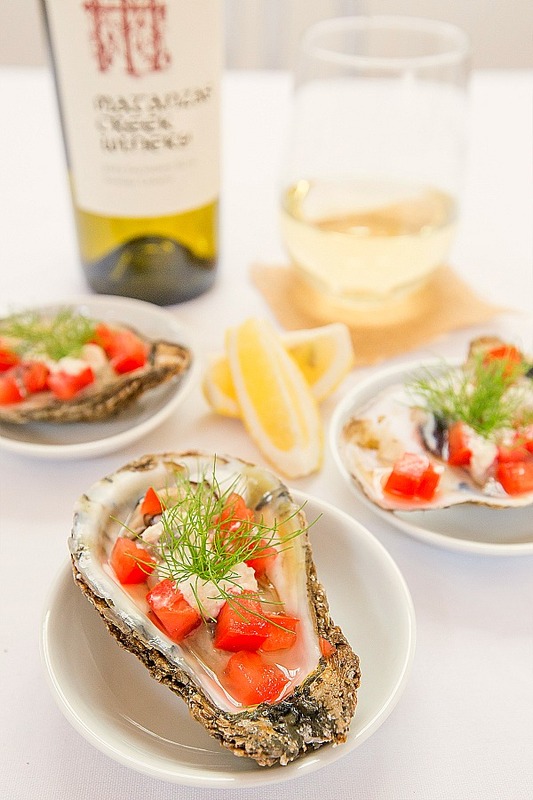 These Bloody Mary Oysters would be so pretty for a wedding cocktail hour or raw bar. 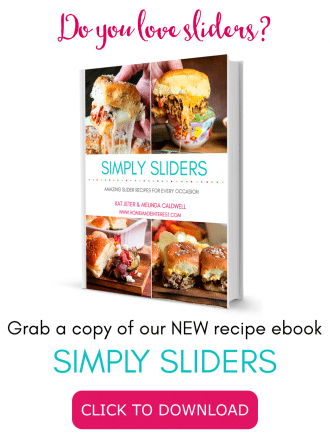 Get to shucking! 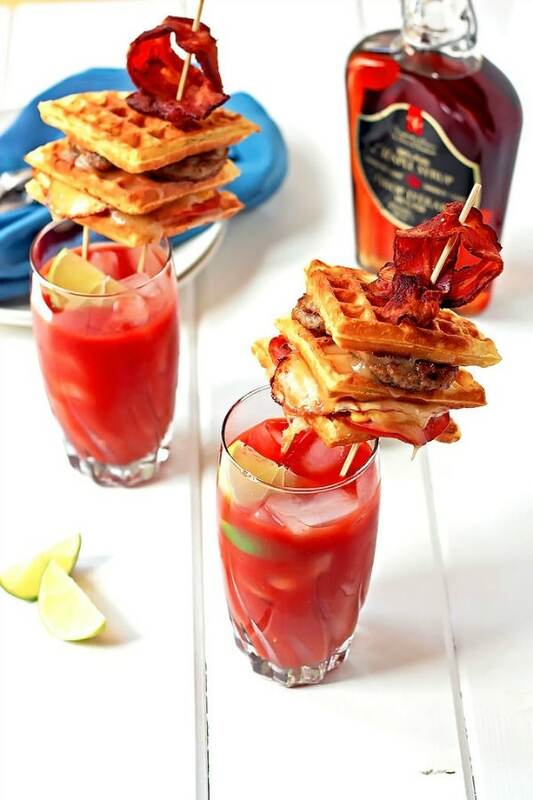 This Bacon Infused Bloody Mary with a Waffle Grilled Cheese topper is a complete meal all in itself! 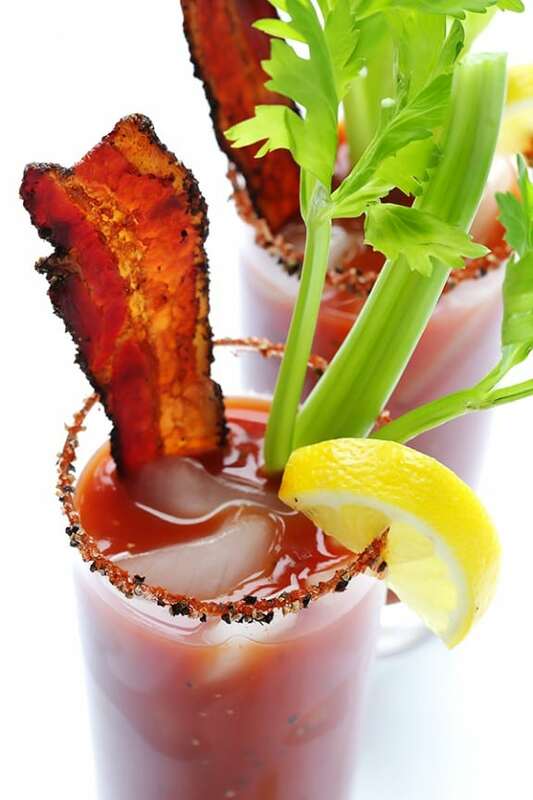 I’m planting tomatoes in my garden this year for this Peppered Bacon Bloody Mary beauty. Lunch anyone!?! 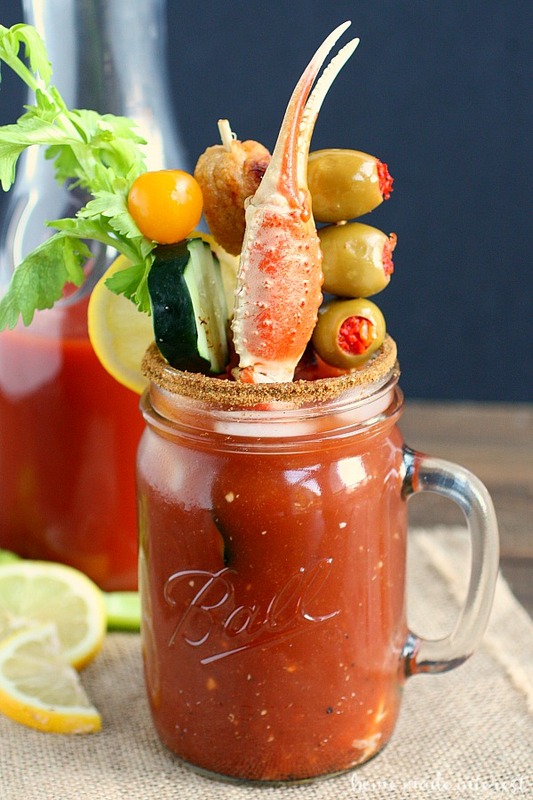 My husband would love this Thai BBQ Bloody Mary. This Roasted Red Pepper Bloody Mary is made with sweet, smoky roasted red peppers. 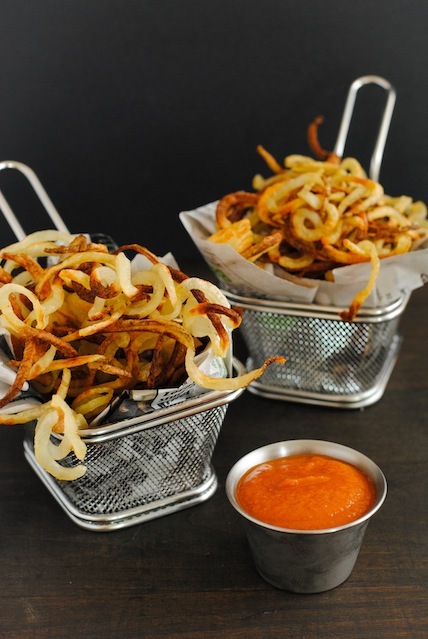 Dip your fries in some homemade Bloody Mary Ketchup or buy a bottle instead! 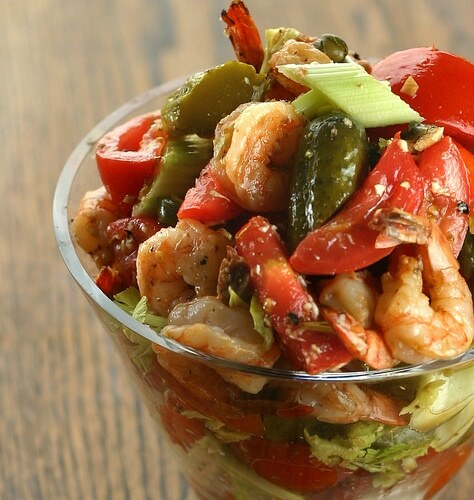 This Tito’s Spiked “Bloody Mary” Chipotle Shrimp is savory, spicy, salty, sour, and with a hint of sweet from the honey. 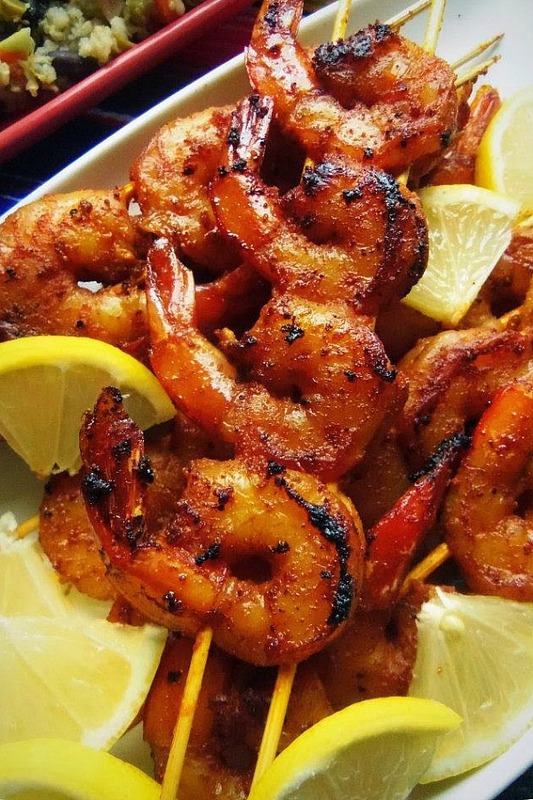 This shrimp dish hits all the right notes! No you’re talking! 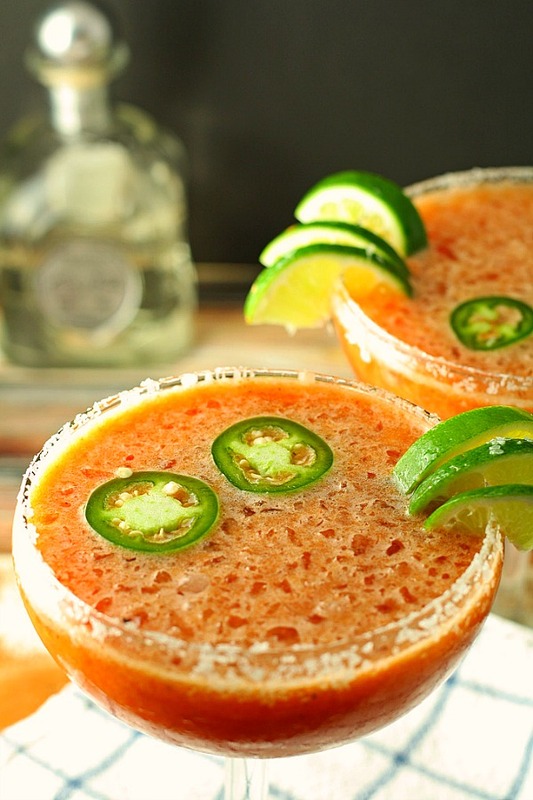 This Bloody Margarita is a cross between a Bloody Mary and a margarita. Bloody Mary Soup – soup with vodka in it, yep sounds great! 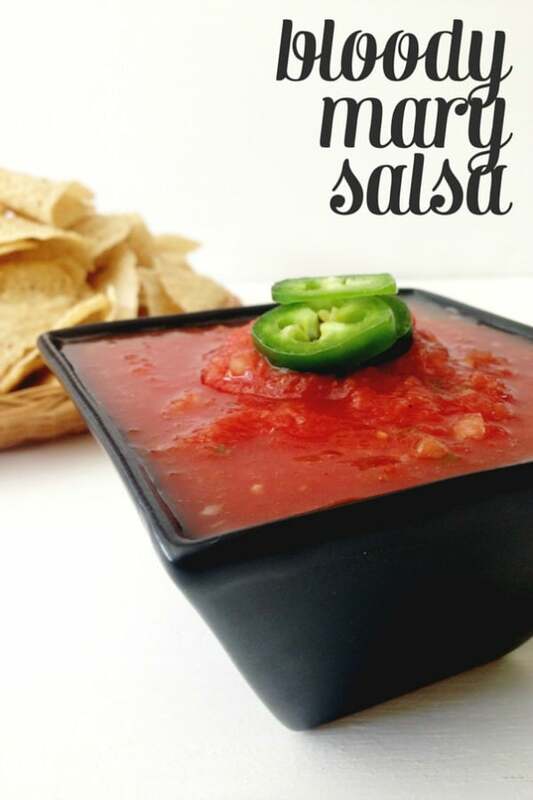 This Bloody Mary Salsa is a fun twist on the classic chip dip. 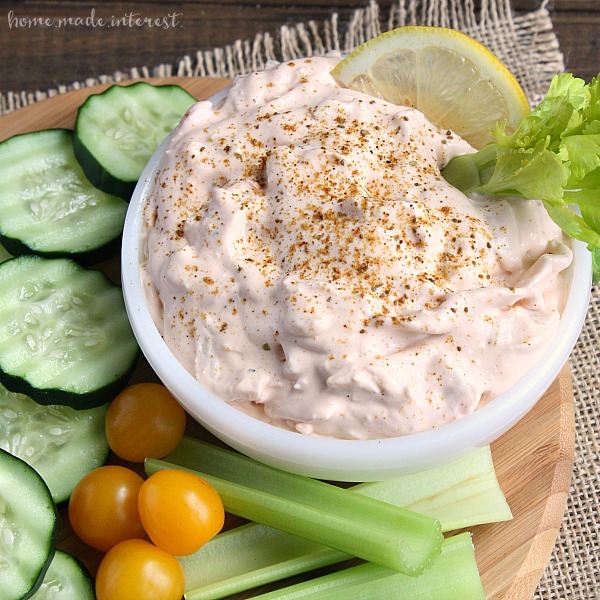 All you need is a food processor and 10 minutes. Now this is what I’m talking about! 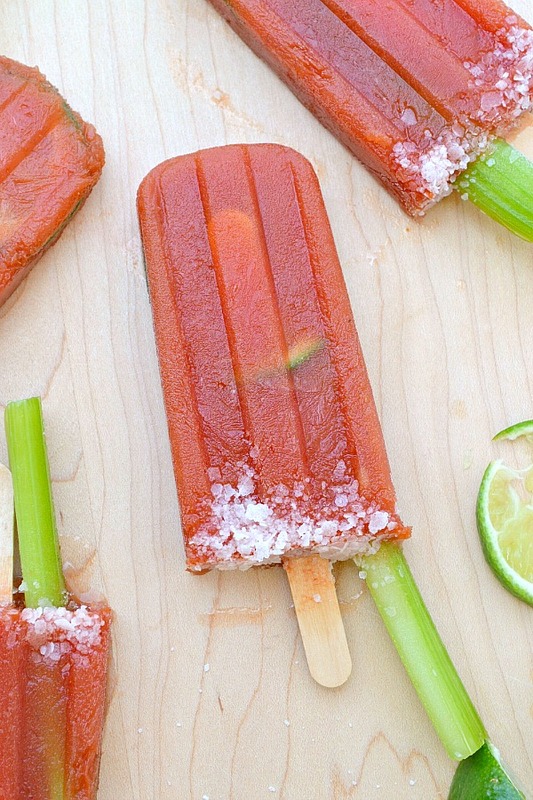 A Bloody Mary Popsicle poolside would be fabulous on a hot summer day. 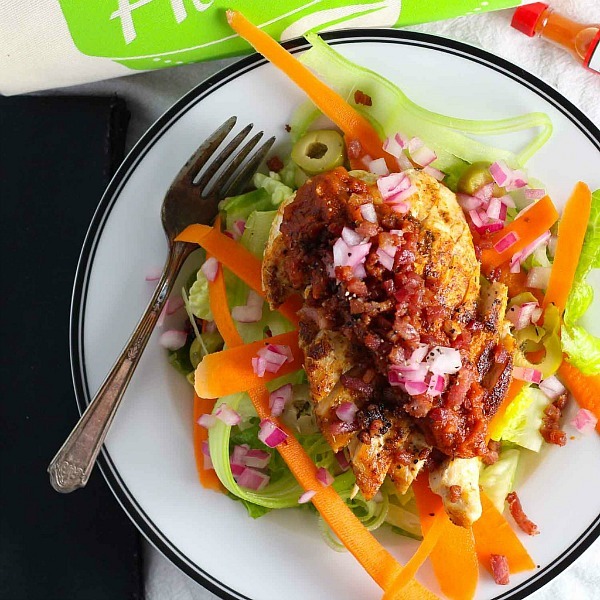 This Bloody Mary Chicken is flavorful and full of color. Love me some heirloom tomatoes! 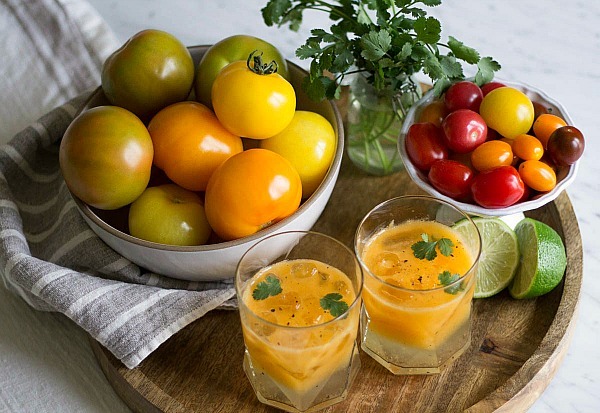 This Heirloom Tomato Bloody Mary is a must try. This Bloody Mary Tomato Salad is a great twist on boring pasta salad. This just made me very happy. 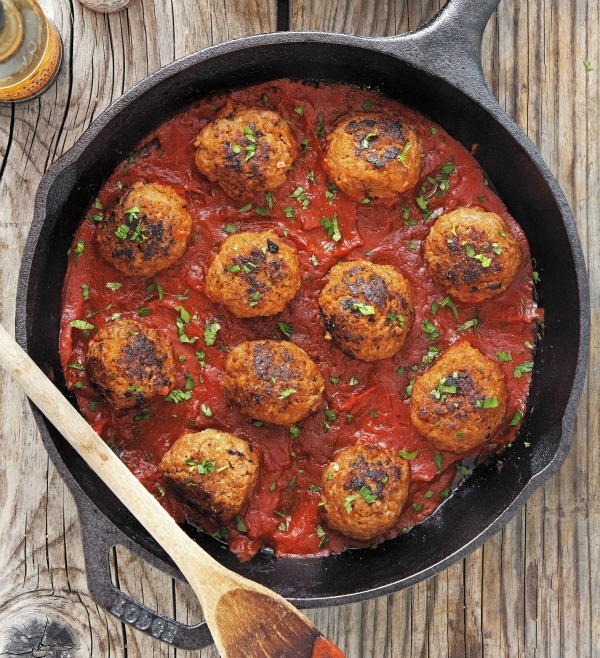 My mouth is watering for these Bloody Mary Meatballs. Now invite some friends over and enjoy a Bloody Mary or two or three. Homemade Bloody Mary mix or store bought, both delicious. What kind of crazy garnish can you come up with? 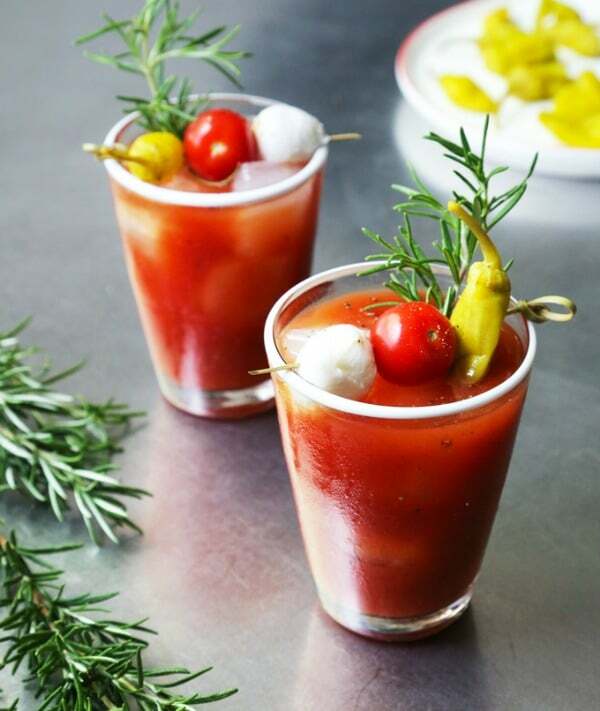 What creative Bloody Mary recipe can you make? Share below in the comments! Our friends Nik and Greg from Bloody Awesome were the inspiration of this post. Thanks for my new found love for Bloody Marys. Wowza, Bloody Mary Heaven going on here!! 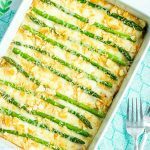 This is one heck of a delicious round up! Honestly, I’ll take 2 of everything.. preferably all at once! 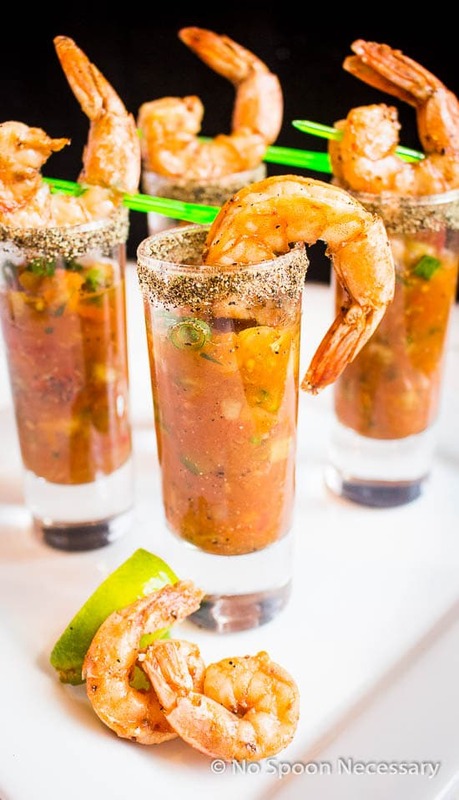 😉 Thanks so much for including my bloody mary gazpacho and shrimp shooters! 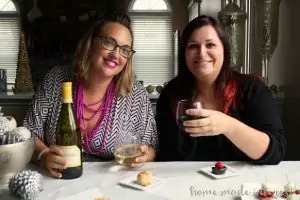 Cheers and thanks for sharing the YUM! 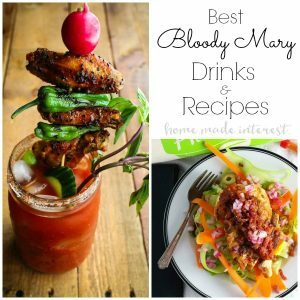 What a great roundup I love Bloody Marys, thanks for sharing at the Thursday Favorite Things Blog Hop.